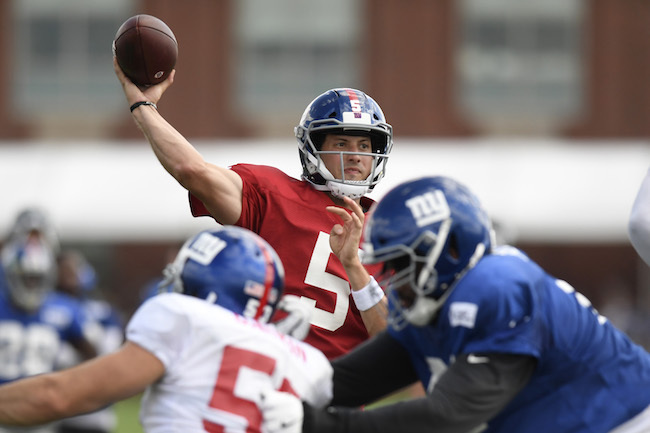 New York Giants rookie quarterback Kyle Lauletta was arrested on Tuesday for a number of infractions related to a traffic incident. According to police, Lauletta allegedly was trying to make a right-hand turn from the wrong lane, failed to follow instructions, and almost struck a police officer. When Lauletta was finally stopped by a second officer, Lauletta allegedly refused to produce his driver’s license and registration or get out of his Jaguar. Lauletta was charged with eluding police, obstructing administration of law, resisting arrest, reckless driving, disregarding an officer’s directions, improper turn in a marked traffic lane, and failure to remain in a marked lane. Police also say that Lauletta did the same thing on Monday but was not stopped. 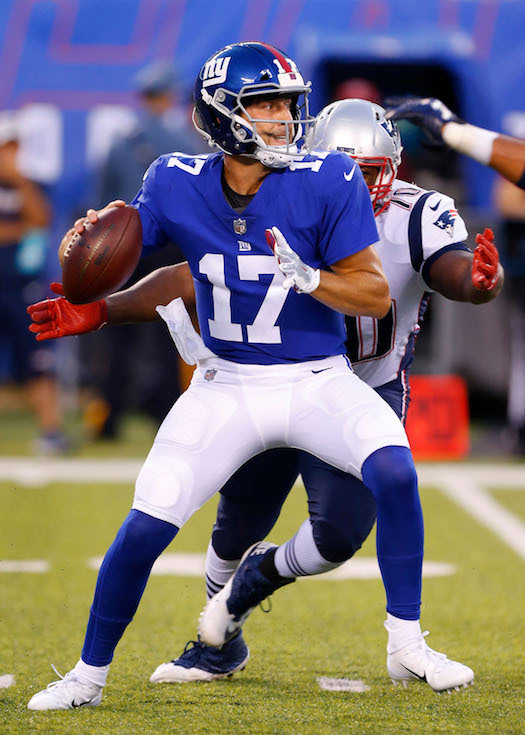 The 2018 NFL trade deadline was at 4:00PM on Tuesday and the New York Giants did not make any trades this week after trading away cornerback Eli Apple and nose tackle Damon Harrison last week. According to media reports, the Giants were listening to offers for defensive backs Landon Collins and Janoris Jenkins. The Giants were reportedly seeking a 2nd-round draft pick for Collins. The New York Giants have waived cornerback Michael Jordan, who the team claimed off of waivers from the Cleveland Browns in September. The 25-year old, 6’1”, 200-pound Jordan was originally signed as an undrafted rookie free agent by the Los Angeles Rams after the 2016 NFL Draft. He was claimed off of waivers by the Browns in September 2017. Jordan has played in 22 regular-season games with three starts. The players are off during the bye week until November 6th.